Pathogenic bacteria are responsible for many of the common types of potentially fatal water-borne disease around the world. Doulton® water filters have been proven by independent laboratory testing to be highly effective against pathogenic bacteria. Salmonella typhus >99.999% Typhoid Fever Fever, headaches, apathy, weakness, abdominal pain, and a rose coloured skin rash. Shigella >99.999% Shigellosis or Bacterial Dysentery Abdominal pain, fever, diarrhoea, mucus and blood in excreta. They can be found in human and animal faeces, so it is relatively easy for them to find their way into water supplies. The simplest and best way to get rid of cysts is by using absolute filtration of less than 1 micron (1 thousandth of a millimetre). 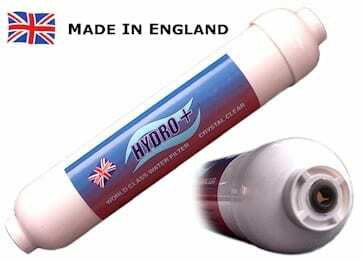 Cleanwater Doulton water filters are the ideal solution. Independent testing has shown that they remove >99.999% of Cryptosporidium and Giardia cysts. The dead bacteria are NOT removed from the water. Most people would not like the idea of swallowing large numbers of micro organisms, whether or not they are dead. Chlorine can react with organics in the water to produce trihalomethanes (THMs). These are known carcinogens (i.e. they can cause cancer). Activated carbon is the best way to remove chlorine. Doulton has developed a range of filters which combine the benefits of a ceramic filter with added activated carbon to remove chlorine. Independent testing has verified that Doulton water filters effectively remove >99.99% of particulate; that is, 0.9 microns or larger, and 99.9% of particulate in the range of 0.5 to 0.8 microns is reduced. 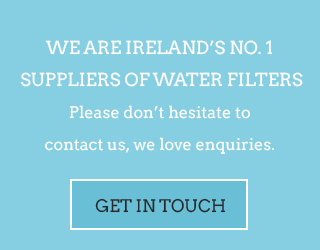 For water with heavy particle contamination, a pre-filter should be fitted before the ceramic filter. This will prevent premature clogging of the ceramic filter. The very harmful effects of lead especially for children and pregnant women are well known. It can cause mental and physical retardation, behavioural problems, and learning difficulties in children. In adults, too much lead can cause high blood pressure, strokes, and heart disease. In men it can adversely affect sperm counts.